AVX with 128-bit registers has small minor benefits, usually because there happen to be some instrustrictons that may do the job better, and because AVX allows more efficient use of some other instructions (ie. distinct destination registers for some instructions, instead of an implied one). The differences to SSE1/2/3/4.1 versions of the same code (which also are 128-bit) is relatively small, maybe 5-10% (for a single given function), while doubling the register size to 256 can in an ideal case of course be up to twice as fast. Intel's strong PR and marketing teams are trying really hard with tons of money behind them to persuade people that more cores are useless or at least not necessary. It's the same old story for the dark ages of 2011 - 2017 era, when the same teams were telling us that the Core i3 2C/4T - Core i5 4C/4T - Core i7 4C/8T scheme is the best that we could ever had. No more than 4 cores for mainstream desktop, ordered Intel. If you wanted more, you should pay 2000$ to buy 10 cores of Broadwell-E 6950X in 2017. On March 2017 a world revolution took place. Nowadays, you can buy 32C/64T for 1800$ from AMD, when Intel still sells 18C/36T for 2000$ - even this means 80% more cores for the same price just a year later for Intel. Cascade-AP, a one-off processor from Intel, mimicks the Zen first generation architecture for servers (EPYC) and rises the sum of cores to 48 from 28 of Skylake-EP using GLUE (as Intel called Infinity Fabric of Zen architecture) to add two Skylake 24C processors to one Cascade 48C. Intel is trying hard to be as less humiliated as possible compared to the absolute monster of EPYC 2, a multi-die (8+1) CPU of 64C/128T adding PCIe v4.0 and Infinity Fabric 2 to the equation. If you can't avoid something, just enjoy it. 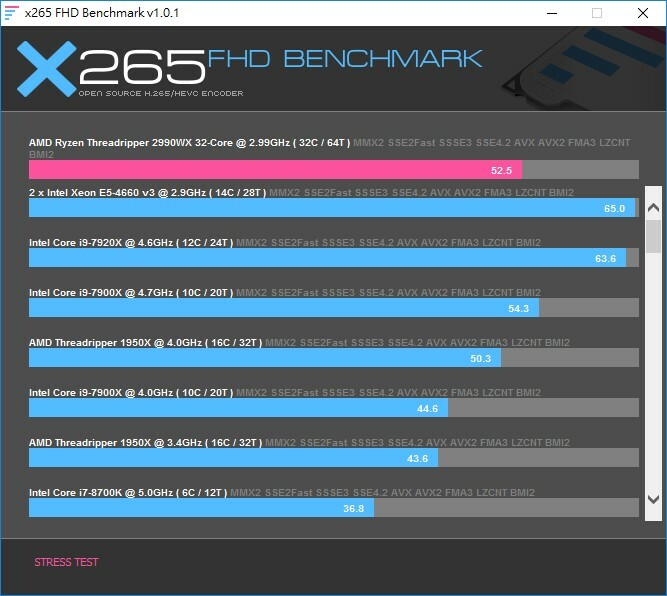 Is there actually an updated benchmark with adjusted numa pools or did anybody check if this gives an performance improvement for the 2990WX? Instance 1 = --numa-pools "+,-,-,-"
Instance 2 = --numa-pools "-,+,-,-"
Instance 3 = --numa-pools "-,-,+,-"
Instance 4 = --numa-pools "-,-,-,+"
Do you have access to 2990wx?